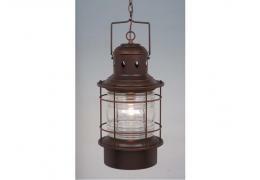 Dimensions: W 18" x H 11", extends 10 1/4" inches from wall Finish: Parisian Bronze with Clear Se..
22-inch Rustic Outdoor Lantern Hanging Pendant. This light has a western lantern look. 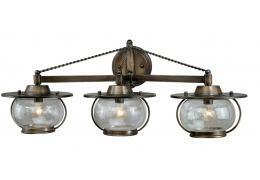 Takes 1..
Dimensions: W 127 1/4" x H 11", extends 10 1/4" inches from wall Finish: Parisian Bronze with Cle..
Made in the USA. Perfect size for most dining room table. Measures 30" wide with a lar..
Reproduction Wagon Wheel Chandeliers are a great alternative to a real Wagon Wheel Chandelier. 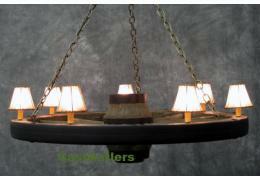 Faux Wagon Wheel Chandeliers look real, cost less, weigh less and are UL listed.